If you have ever wondered why a person does what they do – especially when the action is causing the person mental, physical or emotionally distress, you should read one or more of these three books. Each book examines the seemingly illogical reasons behind our actions. 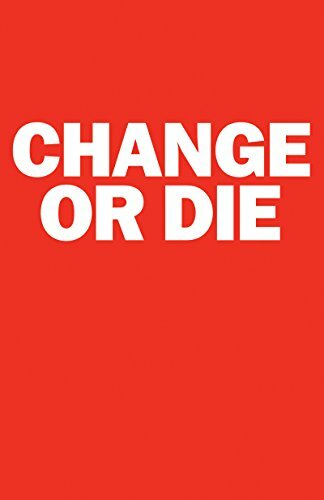 As author Alan Deutschman, admits near the end of his book, Change or Die: The Three Keys to Change at Work and in Life, the book’s title is intentionally sensational to attract readers. Few choices in life are that consequential. He starts the book with some disturbing studies of people who needed to change their habits or face permanent health issues -- and possibly die. One story of a public figure details all the struggles this person went through instead of taking the much simpler – and saner -- approach of just making healthier life choices. The amount of effort required to stay alive was significantly harder, it seemed, than just changing a few habits. But as, the author goes on to explain, at some level, all of us engage in the same acts of resistance. Besides the interesting case studies and vignettes Deutschman uses, he drives home one very key point. The three most common ways used to change a person’s viewpoint -- Fear, Facts and Force -- do not work. The author explains the true path for change is through the three Rs: Relate, Repeat, and Reframe. The next two books are written by David McRaney. The first, You Are Not So Smart: Why You Have Too Many Friends on Facebook, Why Your Memory Is Mostly Fiction, and 46 Other Ways You're Deluding Yourself was written in 2011. The second one, You Are Now Less Dumb: How to Conquer Mob Mentality, How to Buy Happiness, and All the Other Ways to Outsmart Yourself, was written in 2013. Both books follow the same basic format which is one chapter per scientific concept. The appeal of the books is they offer intriguing insights into why we act and think the way we do -- based on bona fide scientific studies. For example, although we may not know the term for it (priming) we are all familiar with the technique of a store baking bread or a realtor making certain fresh laundry is the first scent we smell when entering the building. The aroma of bread makes us feel hungry. The scent of fresh laundry invokes a feeling of "I'm home." Despite our intellectual knowledge of these practices, we still do the intended purpose of the trick -- buy more food or buy the house. This is because logic does not always dictate our decisions. With subjects like confabulation, confirmation bias or the No True Scotsman Fallacy, McRaney's books could easily bore the reader. But McRaney's skill lies in delivering the information with just enough detail and story to keep it engaging. While his books examine the myriad of social and psychological experiments conducted over the years, he makes it all understandable by breaking the studies down into laymen terms -- and by showing the everyday application of the concepts. One thing is certain, if you read all three books, you will never again have to ask yourself again – why does she believe that? -- or why did I do that? Although you may wish you had not engaged in a specific activity, you will, at the very least, understand why you did. All of the books are relatively short – less than 260 pages for Change or Die and 320 pages for McRaney's books. They are also available on audio.